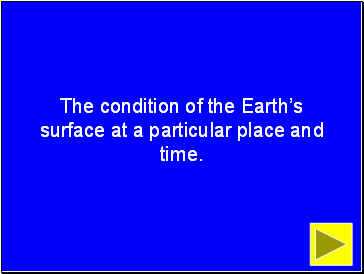 The condition of the Earth’s surface at a particular place and time. 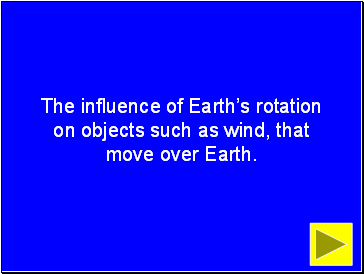 The influence of Earth’s rotation on objects such as wind, that move over Earth. 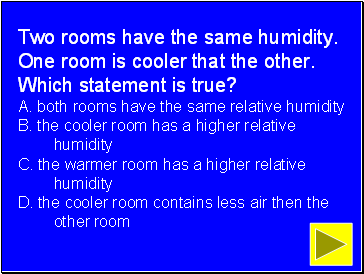 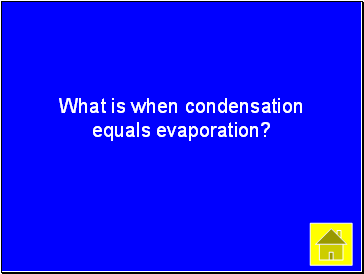 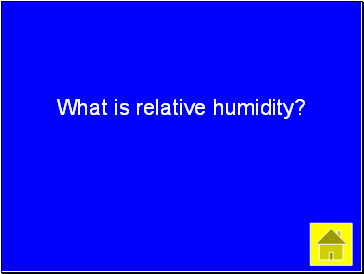 What is when condensation equals evaporation? 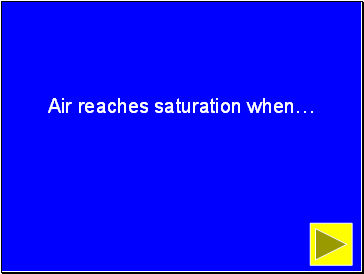 The temperature at which air with a given amount of water vapor will reach saturation. 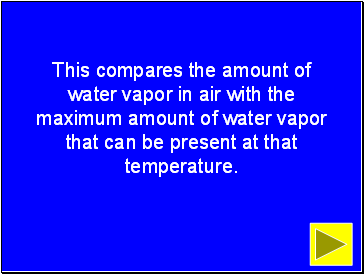 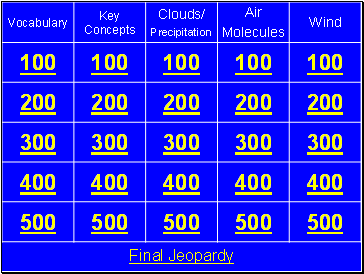 This compares the amount of water vapor in air with the maximum amount of water vapor that can be present at that temperature. This causes a sea breeze. 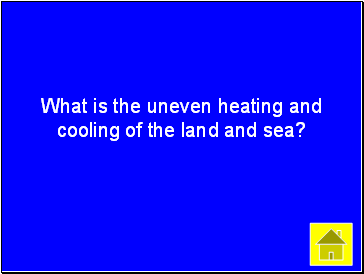 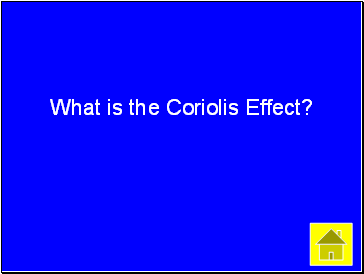 What is the uneven heating and cooling of the land and sea? 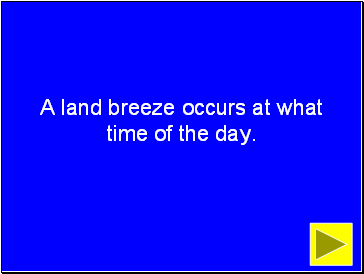 A land breeze occurs at what time of the day. 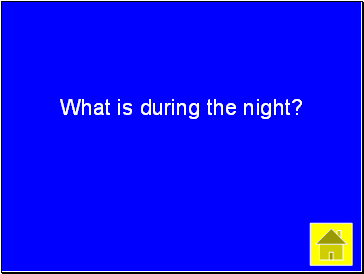 What is during the night? 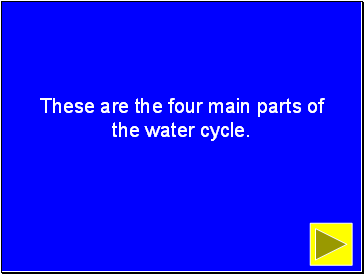 These are the four main parts of the water cycle. 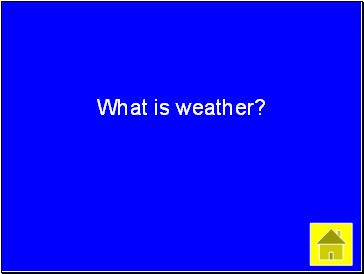 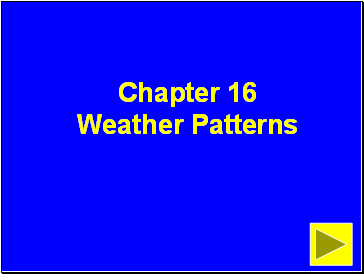 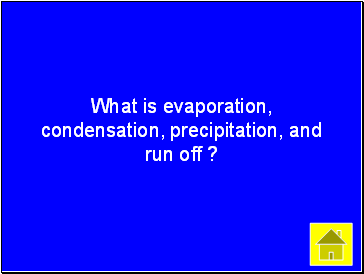 What is evaporation, condensation, precipitation, and run off ?